Kanger's first foray into the world of box mods, it's obvious they've gone to great lengths to get everything right. 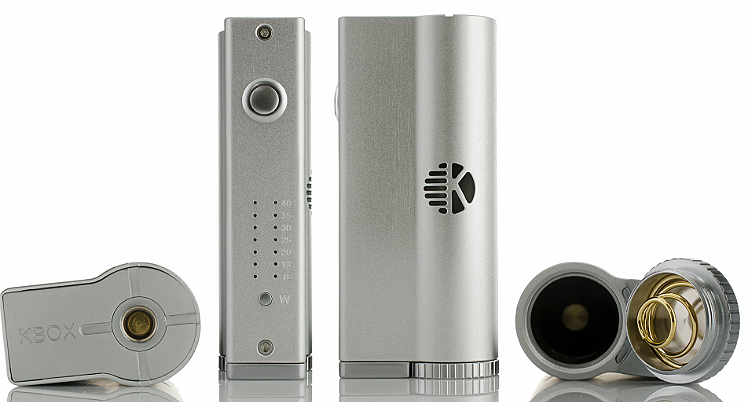 The KBox feels extremely good in your hand because the body is made from aluminum (the top and base are steel). As such, it's a solid and durable box mod; plus it's exceptionally lightweight. As far as physical appeal goes, it's no secret the KBox was made with the Subtank series in mind, but it's a great fit with the majority of atomizers on the market. 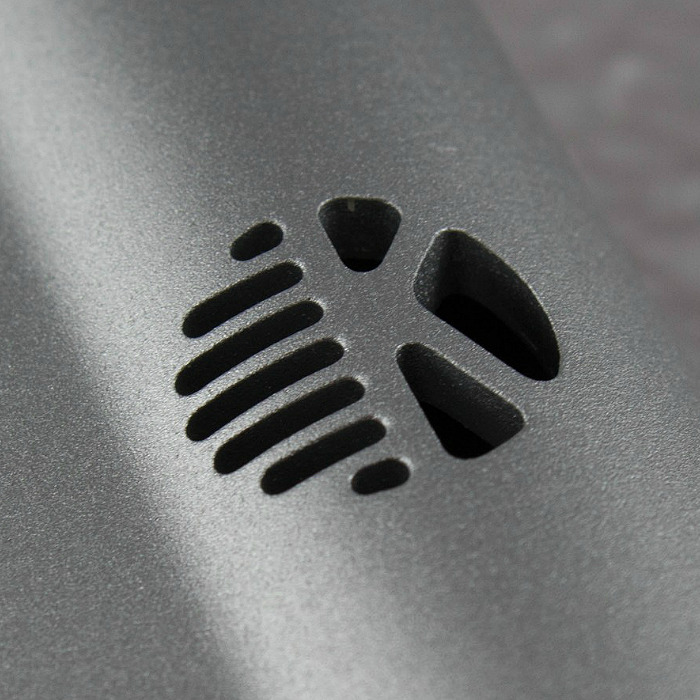 Comfort is clearly a consideration too; the KBox has gently rounded corners so it doesn't dig into your palm. It’s a compact device that can be considered as a "stealthy" box mod, you can take it and vape it pretty much anywhere. It's also relatively cheap and comes with an authenticity code. Kanger is known for being different from the rest: The Kanger KBox is a uniquely designed mod in the sense that it features preset wattage settings. 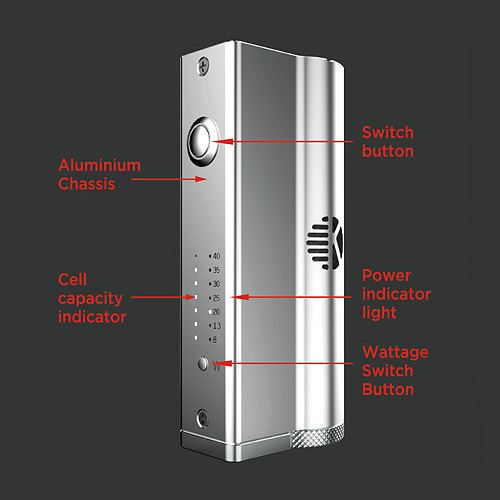 You can move between 8W, 13W, 20W, 25W, 30W, 35W and 40W with a series of simple clicks. In other words, you don't change dials to set the wattage, instead, you simply click and choose one the preset levels. This is a very useful feature because you can try out higher wattage settings without having to perform safety calculations. Safe vaping and awesome vapour performance are guaranteed, making the KBox an easy-to-use, elegant, and straightforward box mod! 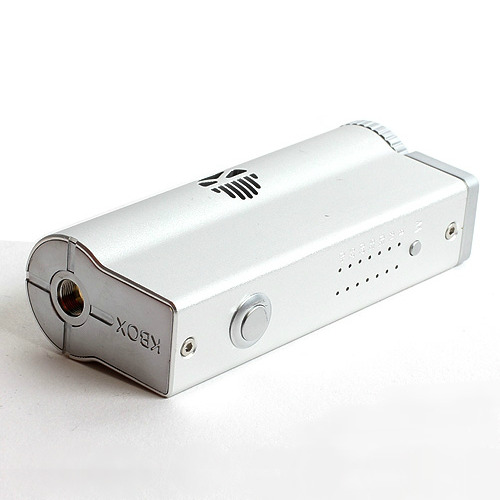 The KBox can fire coils down to 0.4Ω and up. The spring loaded 510 connector pin features four sunken air channels that allow for perfect seating for atomizers. These sunken air channels create sufficient airflow at the base of the clearomizers being used, and, at the same time, create a streamlined connection without any part of the clearomizer sticking out. You are guaranteed an esthetic look no matter which clearomizer you use, as long as the diameter is not more than 25mm. The threading technology on the KBox means most tanks fit nicely with a flush and secure connection. To turn the device on/off, you just click the power button five times. 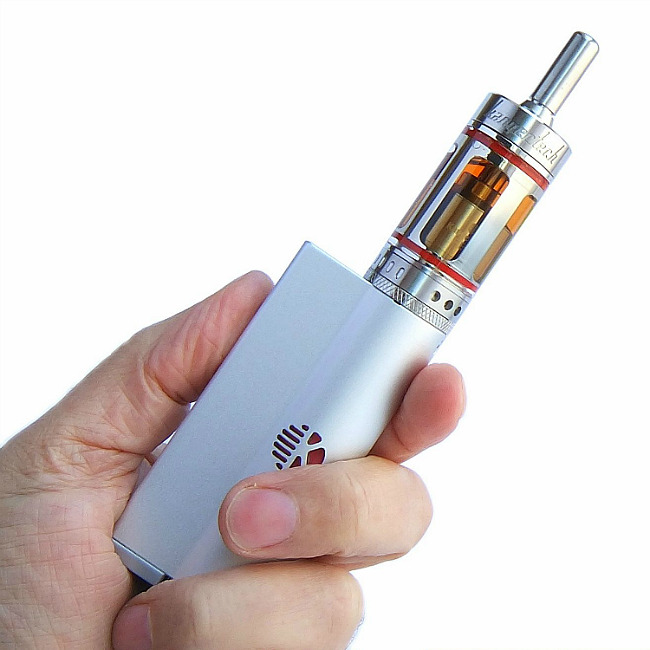 The size and firmness of the connector pin has been designed in such a way that there is no rattling once the clearomizer is attached. The 18650 battery connection inside the box does not rattle at all either. The circular cap at the bottom allows you to remove/insert your battery with ease. 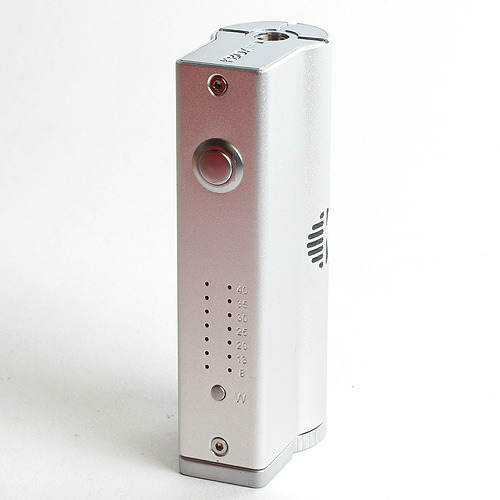 Venting of the battery is achieved through the beautifully cut Kanger logo at the middle section of the battery slot. Everything considered, the KBox is definitely worth the investment! 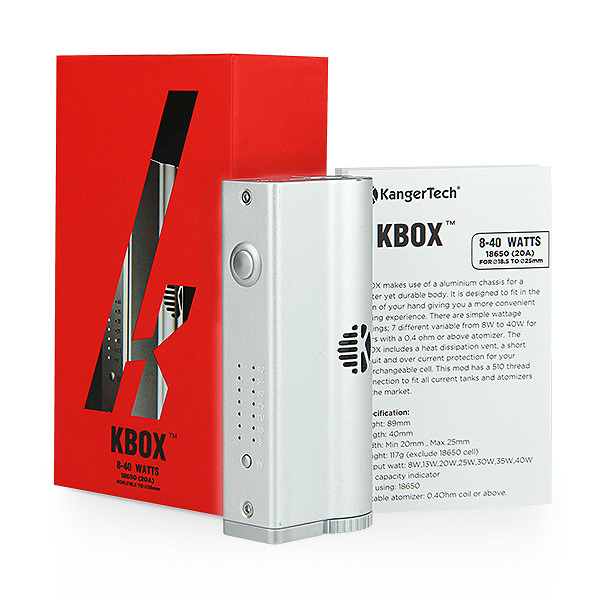 → If you want to get the very best out of the KBox, you should seriously consider investing into a Kanger Subtank. → You will also need an 18650 inner battery. Please click here for the LG HE2 high drain battery. If you also need a charger for 18650 batteries, please click here.